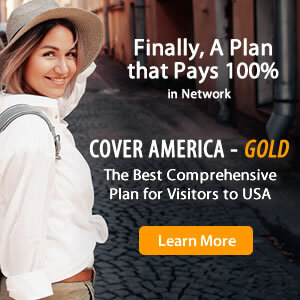 Safe Travels for Visitors to the USA is a limited coverage plan that provides basic medical coverage for non-US citizens traveling to the US from their home country. This visitor’s health insurance plan covers a fixed pre defined limit for each medical service received. Travel medical protection offered by Safe Travels for Visitors to the USA includes outpatient treatment, emergency services, emergency medical evacuation, and more. Safe Travels for Visitors to the USA Insurance covers trips between 5 and 364 days. Safe Travels for Visitors to the USA is best suited for international tourists visiting the US from their home country. Safe Travels for Visitors to the USA? How to Buy Safe Travels for Visitors to the USA?